The secret to helping your child overcome his or her sensory processing or integration disorders is in your hands. Come to Focus on Kids Too and we’ll give your child the individual attention he or she needs. Talk to one of our licensed and board-certified pediatric occupational therapists who are Sensory Integration and Praxis Test-Certified specialists. Learn more about the latest and most effective treatment options. Our staff is friendly and always ready to help with scheduling, insurance, or anything else you may need during your time with us. We will take extra care to listen to your concerns, answer all your questions, and thoroughly explain your condition and treatment options. To schedule an appointment, please call us at 847-412-9772 or you can use our online Request an Appointment form. 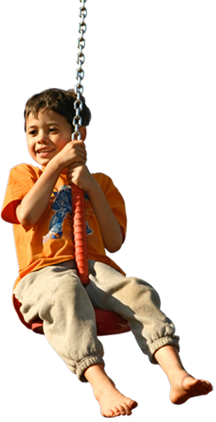 Focus on Kids Too is a Blue Cross Blue Shield PPO provider, but we also accept most insurance plans. Please call us to verify whether or not we are participating with a particular insurance company. SIGN (Sensory Integration Global Network) is an organization developed to help people understand Ayres’ Sensory Integration®. Their website will help you understand the occupational therapy services from a sensory integrative perspective in a manner consistent with Ayres’ core principles.